With Nike’s self-lacing sports shoes about to launch, Puma has just made it clear that it, too, wants a piece of the pie, with the announcement of the “Fi” (short for “Fit Intelligence”) self-lacing shoes. Because bending down to sort out your shoes is too much trouble, Puma has built a smartphone app that performs the task with nothing more than a finger swipe. No, it doesn’t happen by magic. 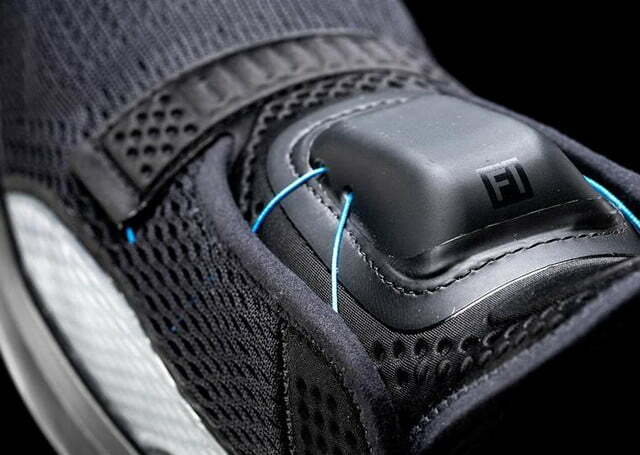 Instead, the app connects with a micromotor inside the shoe, which operates a tightening mechanism using super-thin cables. You can also adjust the tightness from an Apple Watch, saving you from fiddling about with a smartphone — important for athletes who are keen on traveling light. The simplest method of adjustment, however, is via a tiny touchpad on the top of the shoe, which initiates a number of different actions according to how you swipe. The new high-tech sports shoe also incorporates a “smart sensing capability” that learns the shape of your foot and adjusts the tightness to give a snug fit, though if at any point it doesn’t feel quite right, you can use the app to fine-tune the fit and get it feeling the way you want it. A wireless charging mat takes care of the battery, though if you find yourself out and about and out of juice, you can simply change the battery. 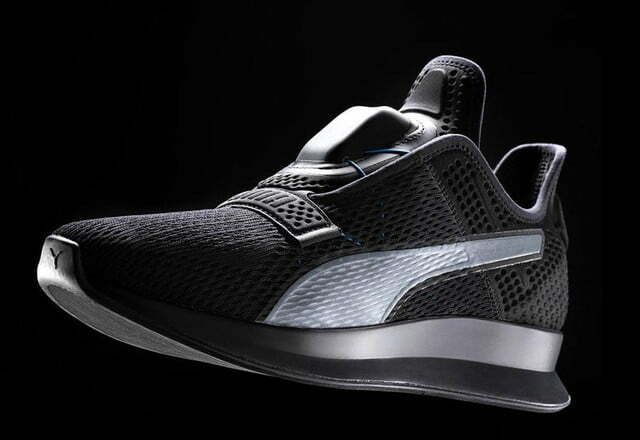 Puma’s self-lacing shoe will launch with a $330 price tag, undercutting Nike’s Adapt BB by $20. But whereas Nike’s footwear starts shipping in February 2019, you’ll have to wait another 12 months before you can step into the Fi. The new footwear isn’t Puma’s first foray into the world of self-lacing shoes. Some of you may recall its wirelessly connected, adaptive-fit AutoDisc footwear from 2016. “The AutoDisc was the predecessor to Fit Intelligence and since then, the company has been working tirelessly on improving functionality, user interface, and durability,” Puma said in a webpage introducing the Fi. 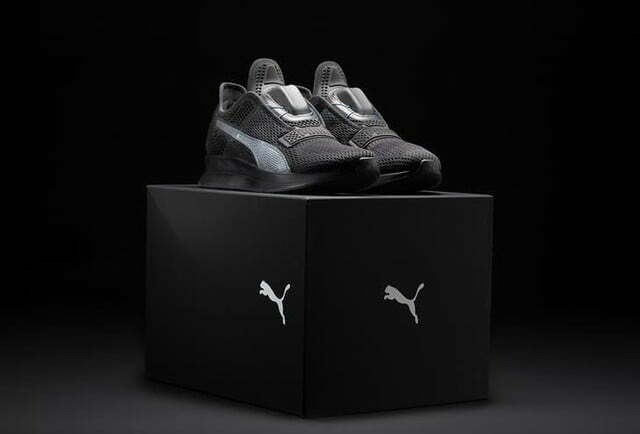 Sticking with the theme of high-tech footwear, Puma also recently ran a limited-edition launch of an updated version of its 1980s RS-Computer shoe. Having seen the design, we can say with great certainty that the Fi looks far cooler.